At Flowers by Hoboken we will take your vision and bring it to life. 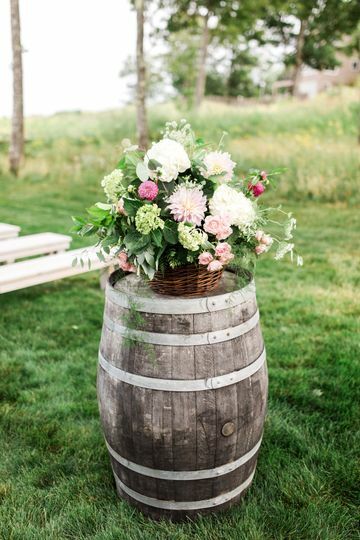 Whether you wedding day is an over the top event or a backyard affair we can create floral designs that highlight the appropriate mood. Our creativity and attention to detail make the difference. 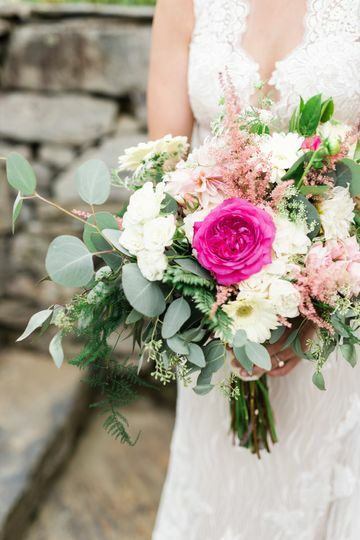 We work with local vendors and growers to source your perfect wedding flowers and use local flowers whenever possible. 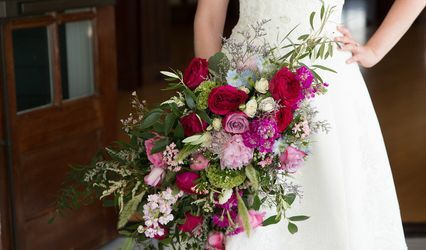 Flowers by Hoboken's array of floral design services include Bridal bouquets, flowers for the Bridal Party ceremony and reception, Our wedding services include decoration and setup of ceremony and reception areas. 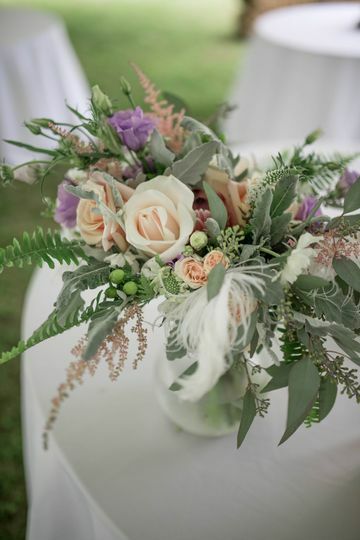 We can create any style from garden to contemporary We have over 25 years experience in floral and wedding design. Complimentary consultation by appointment. 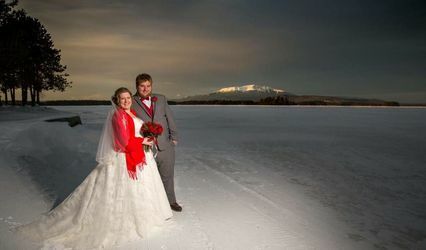 We will be happy to coordinate your wedding plans from afar if you are planning a destination wedding in Maine. 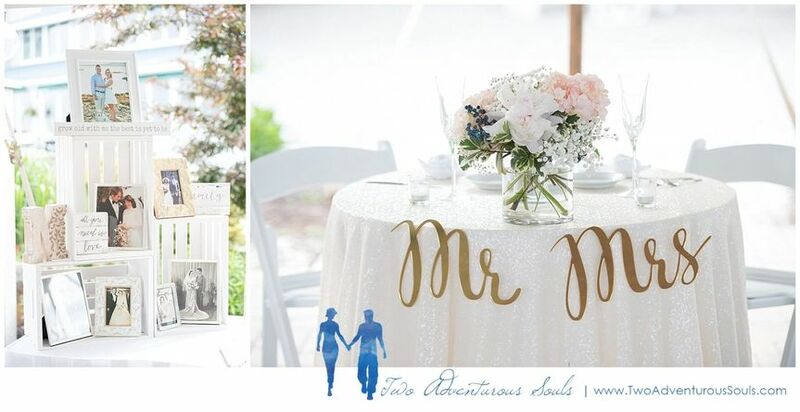 We had the best experience using Flowers by Hoboken for our centerpieces and the bridal party's bouquets. Our initial consultation went very smoothly and I did my best to explain my vision. Fast forward a few months to my wedding, and I can't tell you how many compliments we got on our flowers and centerpieces. I had high expectations, but these even still exceeded them. They were absolutely gorgeous. They could not have fit more perfectly with our wedding. 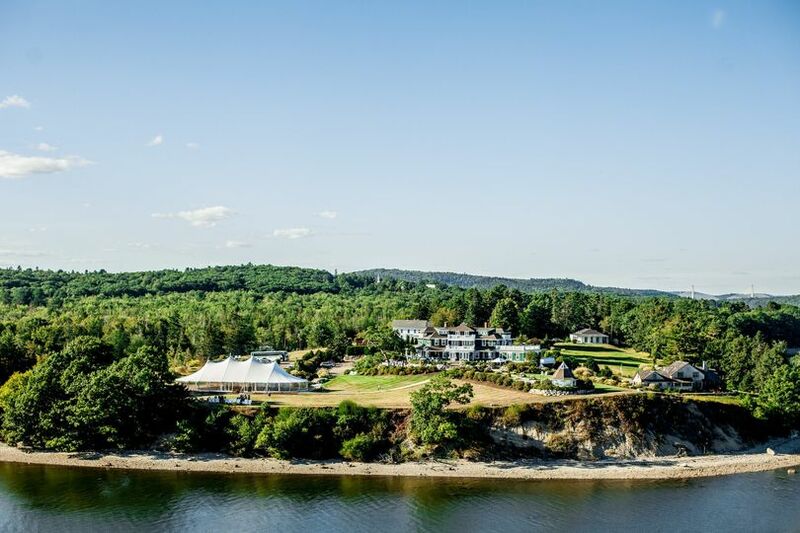 Everything from the initial meetings, to the staff, to the pick up was incredible. Kayla, Thank you so much for your kind words! We really enjoyed making your vision come to life and decorating your lanterns. We are so happy to know that we exceeded your expectations, that is our goal. Congratulations! 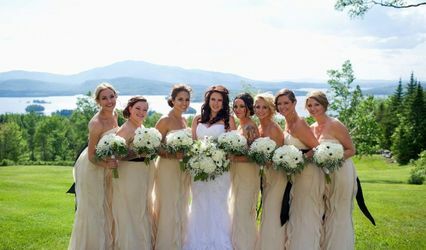 Lisa and Sharon at Flowers by Hoboken were absolutely wonderful to work with. I came across their business when searching hashtags on Instagram and thought their style was right in line with what I was looking for. 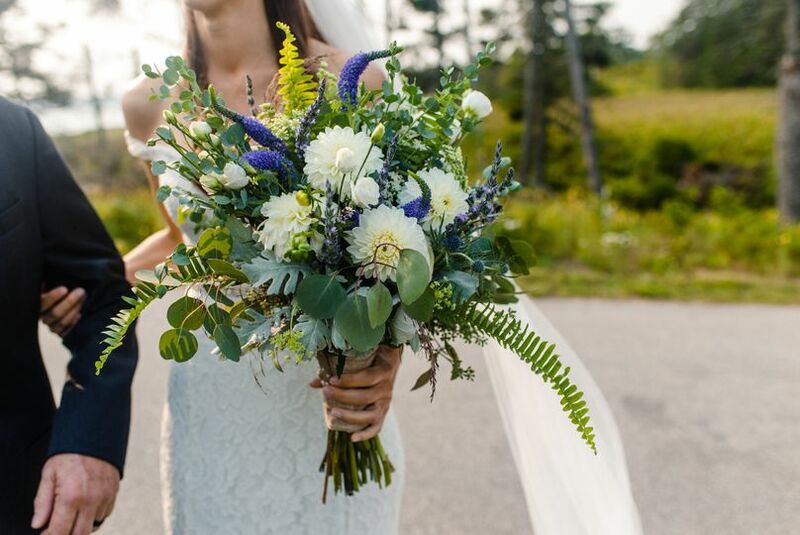 Our wedding palette consisted of shades of green and blue with white and we wanted to go heavy on greenery for a natural vibe. We opted to focus more on the bouquets in terms of flowers and arrangements and had some Italian Ruscus weaving in between brass candlesticks and glass votives on our dining tables. Everything came out absolutely amazing! I had shared a few photos for inspiration and they far exceeded each and every expectation. 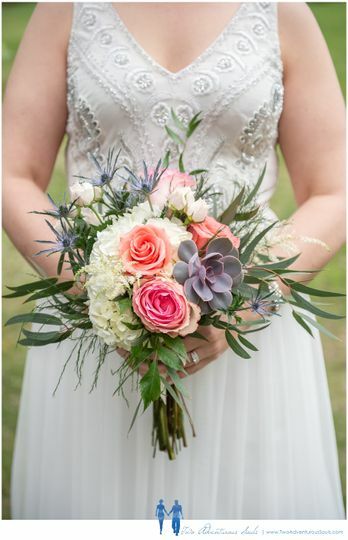 I'm still obsessing over my bridal bouquet, which is going strong in a vase at home. They were responsive and receptive to all of my questions and gave suggestions and ideas as needed. All in all, they are a very friendly and talented group of people—I would highly recommend! Kate, thank you so much! 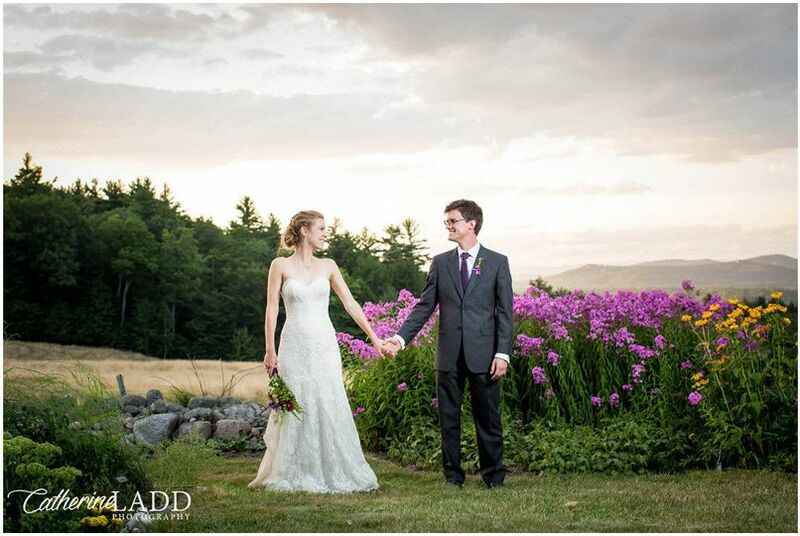 Your vision was a fun one for us to create, loved being able to use all the lush greenery and the succulent! 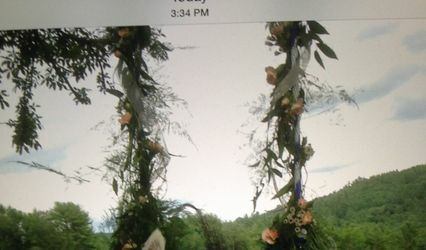 Thank you for trusting Flowers by Hoboken to create your wedding flowers! 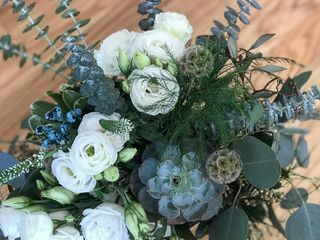 We couldn't have been more pleased with our decision to use Flowers by Hoboken for our wedding! Lisa completely understood our vision and ran with it! Our flowers were lush and beautiful! Picking up our flowers was like seeing my pinterest board come to life! 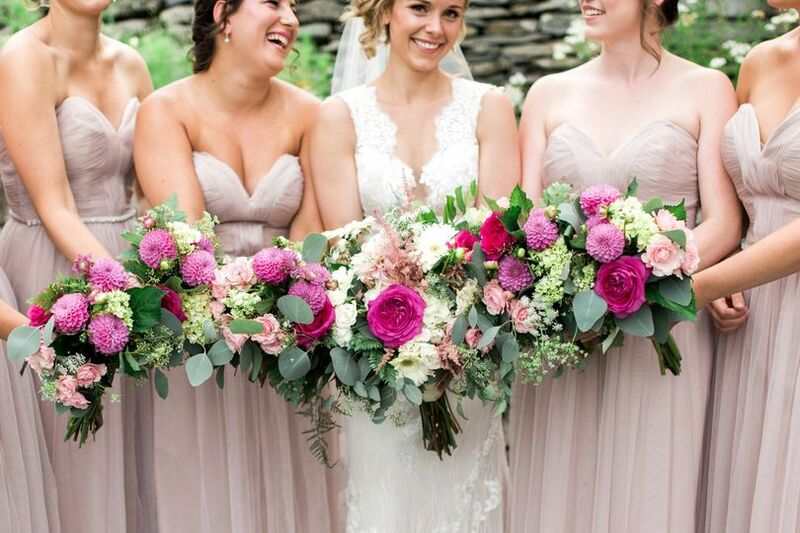 These flowers stand out and make a statement, you know when a bouquet is a Hoboken bouquet! Receive on complimentary flower girl bouquet or flower crown with every wedding booked in April over $2000. 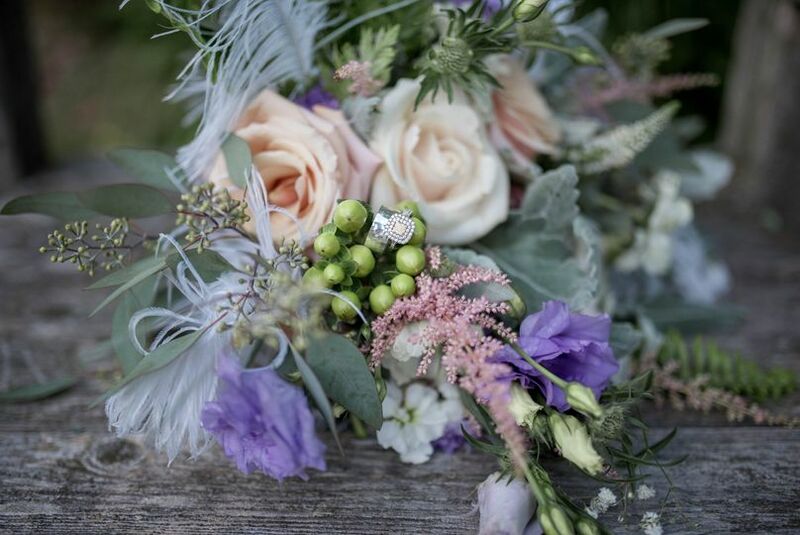 If you are looking for the perfect florist for your big day, look no further. 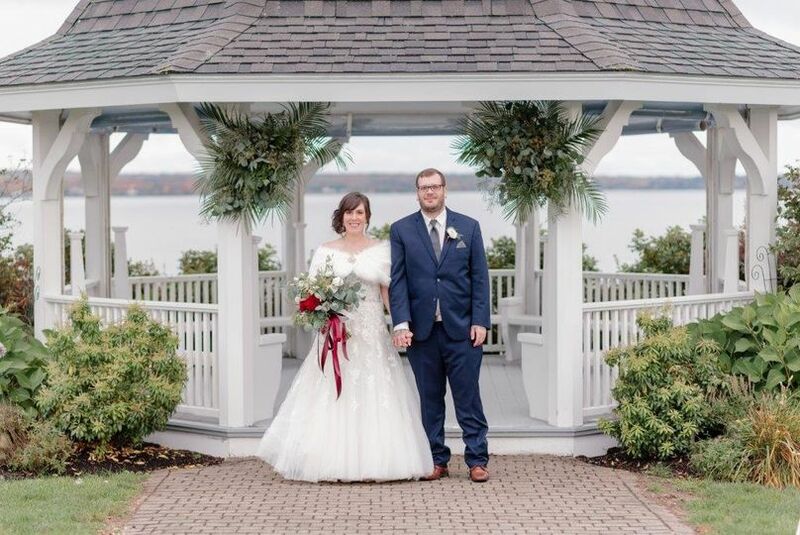 I highly recommend Hoboken Gardens to my Maine brides. Give them a call! Amazing flowers! Super customer service! Great company to work with!! !